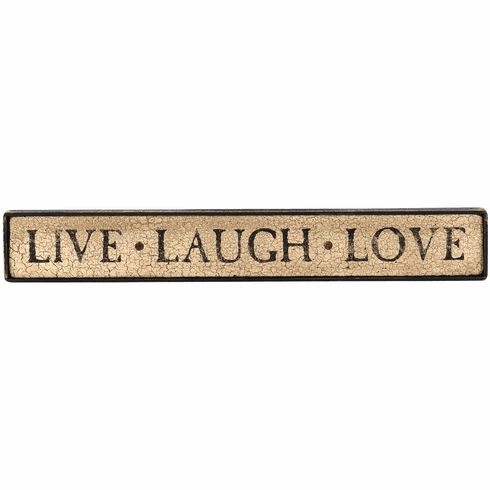 Live Laugh Love . This decorative sign, the perfect gift for you . . . or someone hard to buy for, starts with an original, hand-cut, hand-stenciled design on solid pine.